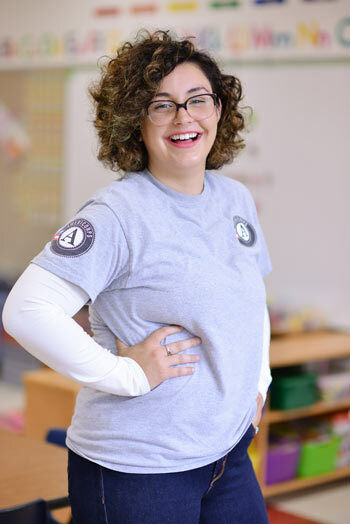 Hilary Kelly did two years of AmeriCorps LEAP at St. Charles, where she herself went to school. 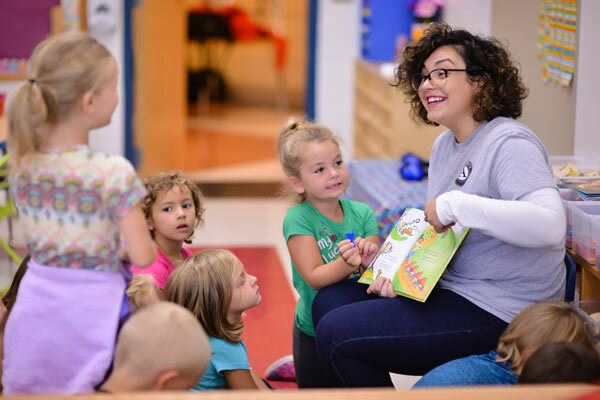 AmeriCorps LEAP placement sites receive ABDO books to encourage early literacy. 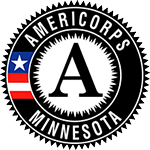 When her college mentor told her about AmeriCorps, Hilary explored her options to serve in Minnesota and was quickly sold on SMIF’s AmeriCorps LEAP program. The LEAP program places up to 20 full-time members in early childhood settings across SMIF’s region to focus on social and emotional skill development so kids are ready to learn when they get to kindergarten. 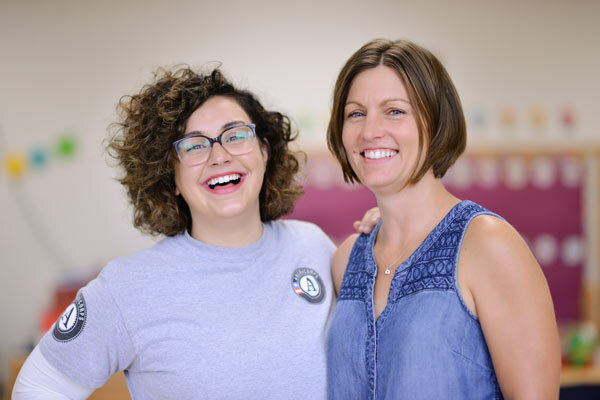 Hilary Kelly (left) with St. Charles Early Childhood Initiative coordinator Heather Millard, who is also the AmeriCorps LEAP site supervisor. Kelly is one of many early childhood investments SMIF has made in the St. Charles community. In total, SMIF has invested nearly $115,000 in St. Charles for early childhood initiatives. In 2012, they became one of SMIF’s Early Childhood Initiative (ECI) communities. “It’s important for those living outside of city limits to have small towns that are close by. When you only have to go 10 minutes to get parts, or to get groceries, instead of a half hour or hour away, it has a big impact on your day to day operation said Millard. “When you live out in the middle of nowhere like we do, that small town is really our only connection. The only way we can preserve these towns is to help our support or children and their families so we can keep them here.” Millard has two kids herself, and was intentional about wanting them to go to a small town school. SMIF staff work closely with ECI communities and have seen how over the years, having a coordinated effort around early childhood not only among early childhood professionals, but other sectors of the community, helps a community leverage more resources. St. Charles recently received a SMIF Community Collaboration $10,000 grant to support a project between the St. Charles Community Foundation and the St. Charles ECI to build a new playground. Millard also said that more people are talking to each other about the importance of early childhood, even though she says they still have work to do. “When I first started with the ECI work, the preschools didn’t speak to each other.” Now they collaborate to host and participate in trainings and community events. The City of St. Charles has also become more involved in the conversation. 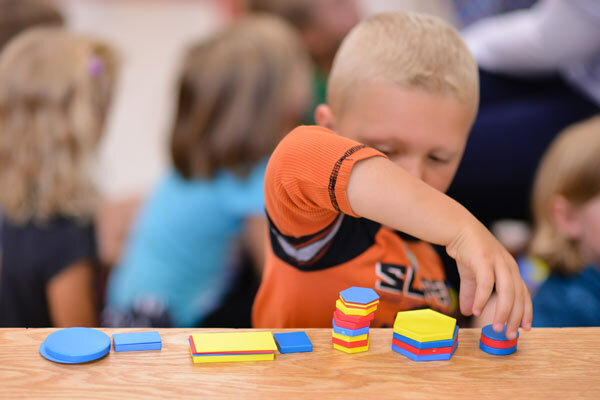 In terms of growth, Millard said “next year we’ll put more focus on how to bring the child care providers more into the conversation.” She also wants to start looking at how they’re measuring the longer-term success of their early childhood investments. Learn more about SMIF's AmeriCorps LEAP initiative or learn more about SMIF's Early Childhood Grants.